The third year of the British Bank Awards proved to be the biggest yet, with over 6500 consumers telling us what they like, and sometimes dislike, about more than one hundred financial providers. The awards are fast becoming a go-to resource for consumers looking to decide which companies are most popular with regular consumers just like them. For the third year in a row, first direct won both “Best British Bank” as well as “Best Current Account Provider”. With an amazing overall customer satisfaction score of 4.75, they also won “Most Recommended Bank”, “Best Customer Service”, and “Best Value for Money”. The awards were also featured that week in Sunday Express, and the Mirror. While customers (generally) rate M&S Bank's credit card offering quite favourably, their current account doesn't rank quite so highly on our site. Alongside Tesco Bank, which fell eight places in our league table, there's improvements to be made for some of the large banks. With over 6500 people taking part, the British Bank Awards audience is diverse with a wide demographic represented. Our average voter this year was male, aged between 35-44 and lives in England. Interestingly, voters from Scotland, Wales and Ireland made up less than 15% of the total. 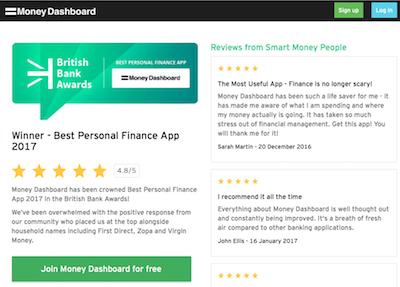 Despite that, we did have one Scottish winner - Money Dashboard, who are based in Edinburgh won our “Best Personal Finance App” category, and were subsequently featured in The Daily Record. Perhaps next year we'll have a Welsh winner? 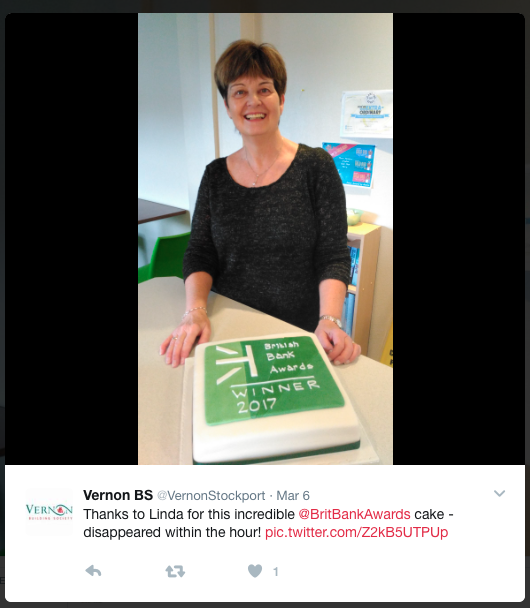 The Vernon Building Society picked up “Best Savings Provider” with an amazing score of 4.91 from their savings customers. The news obviously went down well in Stockport! 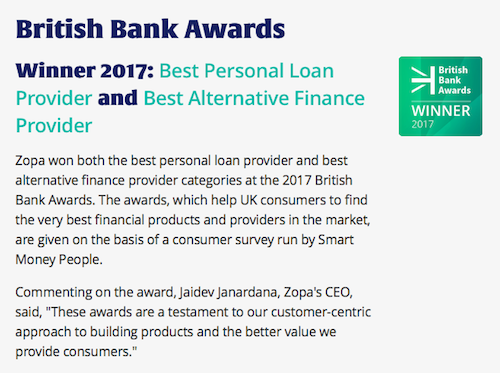 While the British Bank Awards are primarily aimed at helping customers find the best providers, it’s nice to see the winning companies proudly showing off news of their wins. NatWest have done a great job with their mobile app, and appreciated the recognition on their homepage. Chief Exec Ross McEwan re-stated the message at RBS’ 2016 Earnings Call - he said “customers are also benefiting from the enhanced functionality on our leading mobile banking app with net promoter score for users of our app at its highest ever, as well. And we recently won the best mobile app at the British Bank Awards”. Some categories were hard fought, and though they pushed hard, Metro Bank didn't win this time round. Zopa are known for winning many awards, but those which are voted for by customers are hard to come by. They proved that happy customers will speak volumes about you, and are obviously pleased with their double-win. Virgin Money felt the love form their customers too, with their credit cards proving more popular than the likes of American Express, Capital One, or MBNA. The British Bank Awards may be over for this year, but this year alone we expect 3 million UK consumers to see the results, both on our site where we promote winners, and across the general media. We don’t just run the British Bank Awards either, we also run popular awards in both the consumer credit, and insurance spaces - take a look at our dedicated awards page for more info. With these awards, we’re helping UK consumers choose which financial services providers are best. Next year’s British Bank Awards, launching in January 2018, will be even bigger and better, with an awards ceremony for the winners. There’s a spate of challenger banks looming on the horizon, with Starling Bank launching a beta of their current account app this morning, but they’ll have to work hard to shift first direct from the top spot. So if you’re a company who wants to take part, please register your interest below and we will be in touch with all of your pre-launch information.